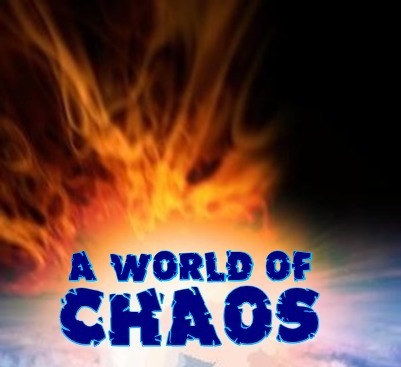 PREPARE NOW FOR THE WORLD OF CHAOS WHICH IS COMING: Are you prepared? End Times CHAOS: Are You Prepared? One would think, based on the great number of books, DVDs, TV shows, movies and sermons that Americans would be well prepared for the end times. But after a depressing tour of “Christian” websites and churches, one would have to conclude that, sadly, that is not the case. Many can see that the world is prepared to descend into chaos. Many are trying to prepare–but lacking the truth of the Word o God, they are attempting to prepare physically. Believers are to be watching for the return of Jesus Christ. But many in today’s churches are watching for events other than the return of Jesus Christ. Some are watching for the return of the Nephilim, ETs and other science fiction-themed events. Others are not watching for the return of Jesus Christ and are instead watching for the churches to take dominion over the earth before Jesus can return. This is as unbiblical an outlook as the Nephilim-watchers. Still others are watching for an end times revival before Jesus returns. The Bible says there will be a great end times revival–but it will be satanic in nature.A great end times rebellion against God and His Anointed Jesus Christ is what the Bible declares will happen. For those who inhabit the apostate churches, this great rebellion (“falling away”) will look like a great revival. The apostate churches will fill and people will worship the same deities these churches now worship: the dragon [Satan]. Of course this end times rebellion will look like a revival to those who do not know God’s Word. Many counterfeit Christians will then drop their pretenses, exalting at last in their open worship of the dragon. Some are watching for the rebuilding of a Jewish temple, even though the Bible clearly states that God no longer dwells in temples made by the hands of man. Some are watching for a secret return of Jesus to whisk church-goers away to heaven where they will be safe from having to witness for Jesus Christ. Those overcomers who stand up for Jesus using the blood of the Lamb, the word of their testimony and loving not their lives unto death are referred to as “losers” who are “Left Behind. There’s a number of other events which men watch for instead of Jesus Christ: signs and lying wonders, seven-year peace treaties about which the Bible is silent and other cunningly devised end times fables. The believer is watching for the return of Jesus Christ because believers know the season, though not the day or the hour. Believers are watching for the return of Jesus Christ. There are a number of events which will take place, but they are events clearly set forth in God’s Word. Those in the apostate churches are watching for a number of events which are not in God’s Word, but which are taught by men. Perhaps that is why the overwhelming majority of mankind will be so surprised by the return of Jesus Christ. The world will soon descend into chaos. Is the reader watching for Jesus Christ? Or is he referring to a chart or timeline prepared by men?